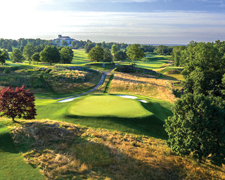 Join us on Monday, July 22, 2019 for a spectacular day of golf at Westchester Country Club! Those not playing golf are welcome to join us later in the day for the dinner and speaker program. Either way, our committee has planned an intimate "non-corporate" flavor for the event. 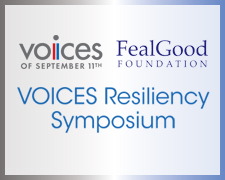 Funds raised support VOICES efforts to provide long-term mental health care and resources for 9/11 families, survivors and responders; commemorate the 2,977 lives lost; and share our lessons learned with communities impacted by other tragedies, both in the United States and abroad. For more information on sponsorships or to reserve your spot, contact Frank Fetchet at ffetchet@voicesofsept11.org or 203-966-3911. Learn more. On March 28, VOICES hosted a day-long training on planning for an effective community response following acts of mass violence. Law enforcement and emergency management including fire, police, and EMTs were in attendance. The event trained law enforcement and emergency responders on how to prepare for, respond to, and recover from traumatic events, taking into consideration both the short and long-term support the community will require. The morning training was followed by afternoon presentations by individuals who were impacted by, or responded to the 9/11 terrorist attacks and the shootings at Sandy Hook Elementary School in Newtown, CT. Learn more. On March 29, VOICES hosted a day-long training on planning for an effective community response following acts of mass violence. Social service providers including mental health professionals and representatives from faith-based organizations were in attendance. The event trained social service providers on how to prepare for, respond to, and recover from traumatic events, taking into consideration both the short and long-term support the community will require. The morning training was followed by afternoon presentations by individuals who were impacted by, or responded to the 9/11 terrorist attacks. Learn more. Join us for a daylong program for mental health professionals, victims' services, emergency managers, law enforcement and other community stakeholders. 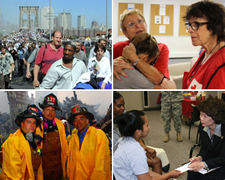 Topics include: The Multigenerational Impact of Trauma on Survivors and Responders, Research to Practice: Treatment of PTSD and Anxiety, Responding to Tragedy: National and International Perspectives, Giving Voice to Victim's Families and Survivors, Vicarious and Shared Trauma: Promoting Resilient Responders, and Cultivating a Resilient Community: A Pathway to Thrive. Learn more. 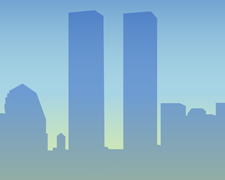 Join us for our annual gathering for 9/11 families, survivors and responders and the dedicated professionals providing support services. 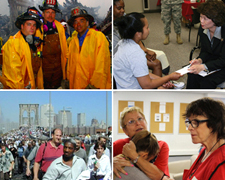 Topics include: WTC Health Program: Medical Treatment Updates, Helping Children and Adults Cope with Loss, Cultivating Personal Resilience: 6 Keys to Thrive, WTC Health Program: Mental Health Research and Interventions, Victim Compensation Programs, Families and Survivors Advocating for Reforms: Progress Report Since JASTA, Uplifting Yourself and Others: Peer-to-Peer Roundtable Discussion, and Comeback Season: Sports After 9/11 featuring ESPN's Mike Greenberg. Learn more. 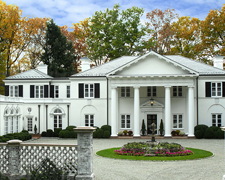 Stroll majestic rooms, roam formal gardens, and shop fabulous fashion at the Huckleberry House on Wednesday, June 6! This wonderful shopping event is presented by New Canaan’s Lady Giving Circle with proceeds benefitting Voices of September 11th. Learn more. VOICES Center of Excellence for Community Resilience held it's annual New Jersey Symposium, Promoting Resilience in Communities Impacted by Trauma on Friday, May 18, 2018. The Symposium was held at Kean University in the North Avenue Academic Building at 1000 Morris Avenue in Union, NJ. Registration began at 8:30 am and the program will run from 9:00 am to 4:00 pm. 9/11 families, responders and survivors were invited guests. Mental health and public health providers, emergency managers and law enforcement professionals working with victims' families, responders and survivors were encouraged to attend. Learn more. VOICES 10th Annual Always Remember Gala was held on March 31st in New York City. The event was a wonderful success thanks to our special guests, our sponsors, donors and volunteers. As always, there was a strong sense of community among the attendees, as we came together to reflect, remember and celebrate the resiliency of so many. This year's event was emceed by Mike Greenberg, ESPN's award-winning journalist and broadcaster. Mike shared his heartfelt personal reflections about 9/11 and the loss of a long-time friend and paid special tribute to the brave first responders who ran in to respond while others were running out. We were honored to present the 23rd US Secretary of Defense, Leon E. Panetta with VOICES 2018 Leadership Award and 60 Minutes Correspondent, Lara Logan with the 2018 Building Bridges Award. Learn more. On the eve of the Anniversary VOICES hosted our 16th Annual Day of Remembrance Information Forum. This year, we were honored to have Jon Stewart and John Feal, Founder and President of The FealGood Foundation speak about their tireless advocacy efforts to ensure that responders and survivors receive the care they deserve. Beginning with a We Remember Ceremony, candles were lit to honor the lives lost and recognize the many individuals who continue to support the 9/11 community. 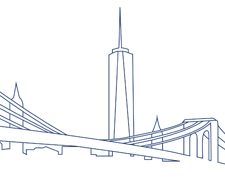 As in years past, the Clinical Directors from the World Trade Center Health Program provided updates on treatment for medical and psychological conditions. Legal experts and victims' advocates discussed the Victims Compensation Fund. Clinicians with decades of professional experience shared their expertise about mental health treatment and building strength and resiliency. The afternoon began with a presentation on Commemoration and Creating a Narrative for Survivors and concluded with peer-to-peer roundtable discussions. Thanks to the generosity of the 9/11 Memorial Museum, attendees visited the Museum following the Information Forum. A special thank you to the dedicated professionals who took the time out of their busy schedules to participate in the Information Forum. Learn more. The event was a unique opportunity to bridge the gap between research and practice, as well as to learn from individuals who have been directly affected by acts of terrorism and mass violence. A special thank you to the dedicated professionals who took the time out of their busy schedules to participate in the Symposium. Learn more. Cognitive Behavioral Therapy for Insomnia (CBT-I) is considered a first-line intervention for primary insomnia by the National Institute of Health, with recent research supporting its effectiveness (and without the side effects common with some medication). CBT-I is typically offered as a treatment model in a series of 4 to 6 sessions (individual or group). 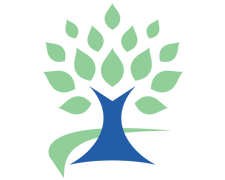 VOICES is offering a 2 hour introductory workshop in our New Brunswick, New Jersey office which will provide an overview of CBT-I, help participants assess their level of sleep disturbance, and include a "take away" tool for use at home. 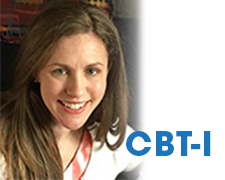 Dr. Erin O'Brien Veara, licensed psychologist and certified CBT-I practitioner, will lead this workshop. Dr. O'Brien Veara completed her Ph.D. in Clinical Psychology, focusing on the relationship between sleep and chronic pain and completed her Clinical Psychology internship and post-doctoral fellowship at Brown University. Learn more.